Proving the old Shakespeare axiom that some are born great, some achieve greatness, and some have greatness thrust upon them, then turn it into a Julia Stiles teen comedy that they keep revisiting to see if there's any more drops of greatness they can squeeze out of it, 10 Things I Hate About You director Gil Junger will return once more to his 1999 debut for the quasi-sequel 10 Things I Hate About Life. However, the film isn't billed as an official follow-up to his bubbly Taming Of The Shrew update, which remains a favorite especially of increasingly nostalgic women, people like to dwell on Heath Ledger's death, and the band Letters To Cleo, probably. 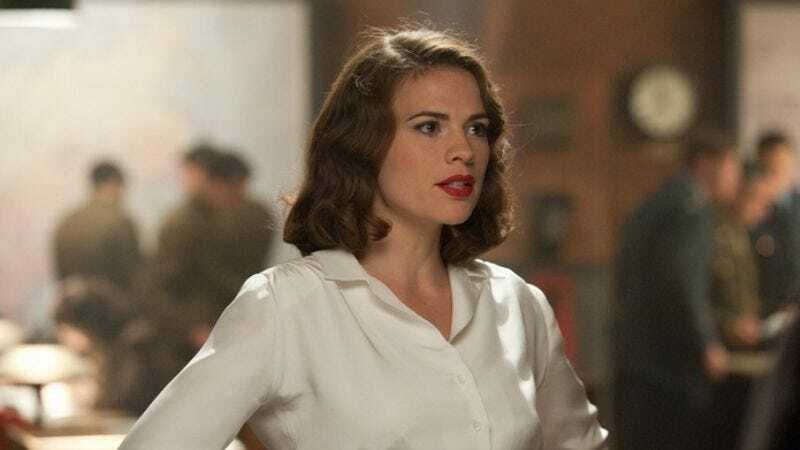 Instead, Junger says vaguely that it will somehow "advance the situations" from the original, with a plot that revolves around Captain America co-star Hayley Atwell playing one of two people who have a chance meeting while attempting to kill themselves—a scenario that Junger says was inspired by his real-life discovery of a man who'd committed suicide at a scenic overlook, as Junger looked upon tormented life at its most futile, anguished end and thought, "Hey, this would make a cute movie," presumably. Though actually, Junger—who's previously gone back to the 10 Things well with the short-lived ABC Family series of the same name—was much more straightforward about his inspiration with Variety, pointing out that last year he made more from 10 Things residuals than he did for actually directing it. And as Shakespeare also wrote, "No profit grows where is no pleasure ta'en / In brief, study what you most affect—particularly if what you affect is making easy money off of name recognition even in its most murky and tangential forms." Shakespeare was kind of a cynic, really.